His engineering degree from BITS Pilani, followed by an Masters from Berkeley, and short stints in the US in aircraft instrumentation and in designing audio recorders for anti-submarine warfare, stand him out out within a political class not too high on talent and where caste or regional considerations often trump merit. Having won his first Lok Sabha in 1991 from his family borough of Karad — his father Dajisaheb Chavan had been MP for 17 years and mother Premlabai Chavan an MP for 16 years — he held the seat thrice before his feud with Sharad Pawar cost him the 1999 election. 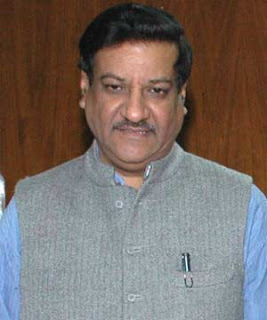 When Prithviraj Chavan entered the 10th Lok Sabha, in early 40's after being given a ticket by Rajiv Gandhi with his mother Premlabai stepping aside for him, many saw him as a naive implant. That was the time when Congress was almost synonymous with Pawar in Maharashtra. It was a time when Prithviraj's espousal of economic reforms or his familiarity with high finance made him appear an oddball in the hurly-burly of pragmatic politics. Even his felicity with English was held against him. In the 1995 Maharashtra polls, he was one of very few politicians who sensed the Pawar-led Congress was headed for trouble. In the midst of the campaign, sitting in his house in Karad in the Maratha heartland of Satara, he expressed concern that Pawar had overplayed his hand by setting up "rebels" where his candidates had not been accommodated. The unthinkable happened. For the first time Congress lost to Shiv Sena-BJP, sunk by combination of infighting and the 1993 Mumbai blasts. By the end of his first term, party seniors began to take him seriously. He made an impression of the then PM P V Narasimha Rao while Rao's FM Manmohan Singh found time to meet him regularly. Congress's defeat in 1996 pitched him into the role of deputy whip in LS and soon Pawar's decision to oppose Sonia on the grounds of "foreign origin" opened another chapter in his career. Ahead of the 1999 election, he went hard at Pawar accusing him of betrayal and arguing that the Maratha boss was really nothing more than a sub-regional leader in Maharashtra. He paid the price in Karad but perhaps earned more valuable equity with 10, Janpath who noted the ''sacrifice''. In a political milieu where families of leaders are hardly seen, Chavan is very much a family man. His wife Satvasheela has been a strong influence on him, sharing his political concerns and offering her views. And neither shies away from displaying affection towards their two children, Ankita and Jai. When the Congress unexpectedly bounced back to power in 2004, Chavan was pitched into a high-profile role as MoS, PMO. The impression that he can be distracted is partly due to his ability to jump subjects and is not an affectation. Still, it can convey the impression of his being evasive or inattentive. But when it comes to the really important aspects of his job, like keeping an eye on politically sensitive issues or important CBI cases, there has been no slack. The mechanical engineer-turned-politician would have liked being the minister for power. But a combination of circumstances and lack of real choices has given him a job for which he was never taken seriously. Prithviraj is handicapped by lack of knowledge of the local terrain and will have to display the 24x7 zeal successful politicians like Nitish Kumar show.